I want you to know that the hard effort made by my fellow Local Santa Cruz Agenda 21 collaborators was noticed by important people in important places. Here is a letter on U.S. Congressional letterhead from my local Congressman Sam Farr. Sam Farr is Leon Panetta’s successor representing a district on the central coast of California. The letter was written to the Local Agenda 21 Committee. BILL NUMBER: SB 60 / VETOED DATE: 09/30/2008 / To the Members of the California State Senate: I am returning Senate Bill 60 without my signature. By Michael Shaw, 9/16/2008 - The Santa Cruz County Board of Supervisors is preparing to issue a water moratorium in South County on well drilling and new construction water hook ups. This action is a direct result of successful litigation that eliminated the Pajaro Valley’s illegal tax imposed on farmers for the water withdrawn from their own wells. The water agency now owes tens of millions in reimbursement that it cannot pay. Texans who are knowledgeable about their property rights and know they are founded in their unalienable rights took action. They actively opposed the Trans-Texas Corridor (TTC) road and rail system when they learned of this public/private partnership. Sam Farr's letter supporting, endorsing, and admitting that he's personally implementing U.N. 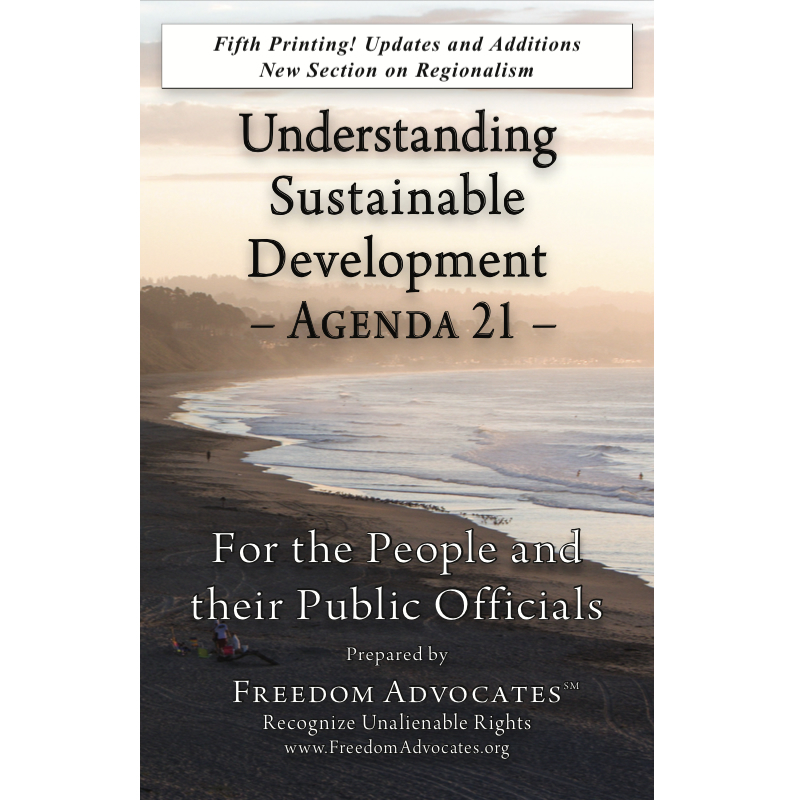 Agenda 21 Sustainable Development throughout Monterey Bay. Also a video of Sam Farr saying he doesn't know what Agenda 21 is. If there's nothing to hide, why is Sam Farr hiding it? 3/17/2008 - Sustainable Development is the most extensive and broad ranging social engineering project ever undertaken. With respect to state, county and local political bodies, many have contracted their powers away. They applied for loans and grants that required "concessions." 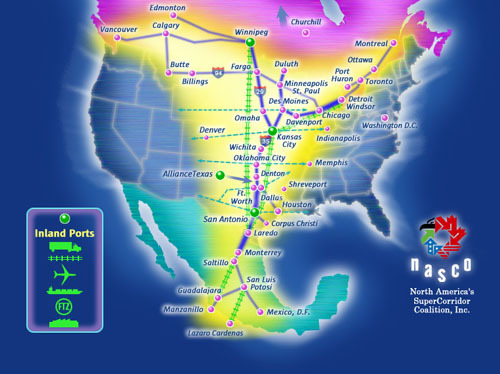 Many times the concessions included authority over renewable natural resources and development. Those terms and concessions handed the scepter of power and ultimate authority over to the financier in perpetuity. Australian leaders enforce Agenda 21 Sustainable Development by restricting private property use through policies like the "Native Vegetation Act." Public-private partnerships with willing corporations, councils, developers and others are used to advance the agenda. As a result, Australian businesses are becoming nationalized and private property is being abolished. Click here for a January 2010 radio broadcast with protesting farmer, Peter Spencer. Updates here. Michael Shaw, President of Freedom Advocates made localized editions of the following presentation to audiences in central Wisconsin, Austin Texas, and at the Freedom 21 Conference in Dallas Texas during July 2007. Shaw's presentation provides a focused assessment of globalist Sustainable policies designed to destroy American values and lifestyles. By Vicky Davis, 6/18/2007 - The link between 'free trade' - or more correctly, the fraud of 'free trade' and environmentalism is the path to global communism and the redistribution of wealth. The plan is laid out in the Brundtland Report, published in the UN record in 1987.